With the rising cost of hats, and the problem that sweating in them causes, enter NoSweat a company who has made disposable hat liners. Do they work? Read on. I wore one in a favorite hat of mine for over a week and it did the job and then some. I wore it to a football game in 80-degree heat and no way to get out of the sun. It reduced the amount of sweat dramatically. When I got home I didn’t have to hang up my hat to dry. Even though these are disposable you can wear them for a few times with no issues. The glue sticks very easily and it stays. My hat didn’t show any staining and in cooler temps kept my head a bit warmer then it would have without it. 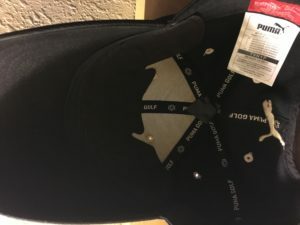 For less than $20 for a 12-pack, you can place them in all of your hats and you don’t have to worry about how you’ll need to clean them in the future. I have an expensive replica 1962 Mets hat, one a few were made, I almost never wear it because of the issue of sweating in it. Now I will wear it with confidence. They have different colors as well to match your hat, helmet, etc.